The chapters in this book deal with different, though related, topics concerning the tense relationship between democracy and diversity. On the one hand, social diversity represents an opportunity, widening the horizon of social options and perspectives of innovation, but, on the other hand, it creates problems for the social cohesion and peaceful coexistence of many groups, be they majority or minority. 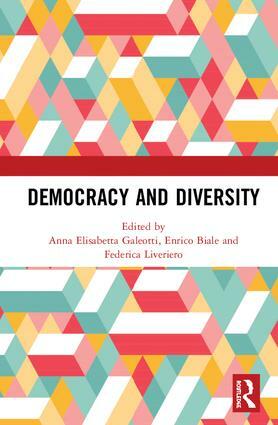 The chapters depart from the intrinsic connection between democracy and diversity – and the unavoidable challenges that pluralism poses to decision-making procedures – investigating, from different perspectives, how the normative requirement of fully respecting agents’ reflexive agency impacts the revision of democratic decision-making procedures and the way in which institutions react to citizens’ justice-based claims. All the contributions share the theoretical insight that diversity is one of the raisons d’être of democracy, and, still, all acknowledge that the fact of pluralism poses challenges to the legitimacy of democratic procedures of decision-making. Indeed, if citizens had the same values and preferences, collective decisions would be easily achieved and the institution of democratic procedures would be redundant. Yet the wide pluralism of doctrines, habits, social standards, and conceptions of the goods typical of contemporary societies has often led citizens to challenge the legitimacy of democratic decisions because these choices do not fit their preferences or values. To address these challenges following recent accounts of democratic decision-making, in this volume, different strategies are introduced, defended, and criticized in order to outline a perspective that is able to guide actual decision-making processes (guidance), define standards that everyone has equal opportunity to fulfil (inclusion), and grant that citizens exercise their reflexive control on the whole democratic system (reflexivity). The chapters in this book were originally published as a special issue of the Critical Review of International Social and Political Philosophy. Anna Elisabetta Galeotti is Full Professor of Political Philosophy at the University of Piemonte Orientale, Vercelli, Italy. Enrico Biale is Research Fellow at the University of Piemonte Orientale, Vercelli, Italy. Federica Liveriero is Junior Research Fellow, University of Piemonte Orientale, Vercelli, Italy.